Description: It's the fastest motorized Nerf dart blaster, unleashing 5 darts per second to rain down a deluge of darts onto targets! 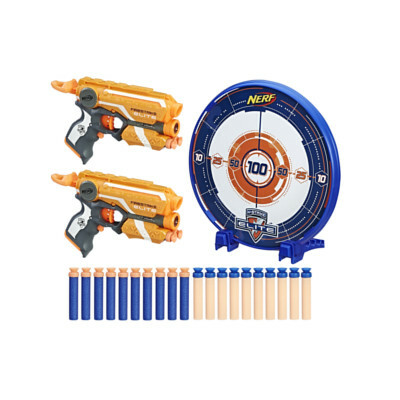 With its 25-dart drum, this Nerf N-Strike Elite blaster brings impressive firepower to the battle. Press the acceleration button, pull the trigger, and let the rapid-fire action begin! Comes with 25 Elite darts.